When 9 year old Ethan Coles learned about people getting sick with Ebola in West Africa, it really made him think. Ethan told his mum that when he feels poorly, he likes to be cuddled, but it is sad for people who get ill with Ebola because no-one is allowed to touch them. Ethan also remembered a quote that he had been told: ‘you never truly know someone until you’ve walked a mile in their shoes’. This inspired Ethan to organise a sponsored walk to raise money for people suffering with Ebola. On 19th January 2014, the plucky 9 year old gave a presentation to his Cub Scout group on the struggles that people in Sierra Leone were facing as a result of the Ebola virus. Everyone wanted to do something to help. The children found out that it takes £1 to feed a person being quarantined for Ebola for a day. They decided to raise £500. 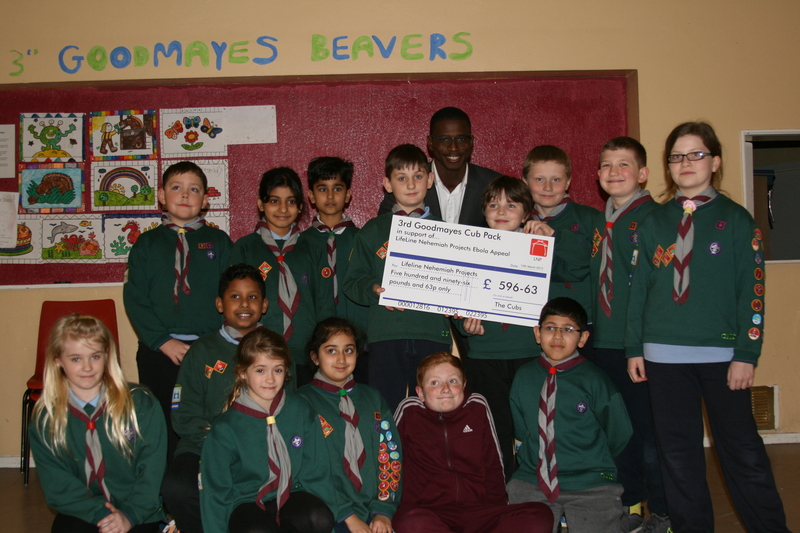 On 9th February, Ethan and 16 members of the 3rd Goodmayes Cub Pack walked 5 kilometres for people suffering with Ebola, raising nearly £600! This money was put towards our Ebola Response in Sierra Leone. The team in Sierra Leone are currently building a new home for orphans of Ebola. 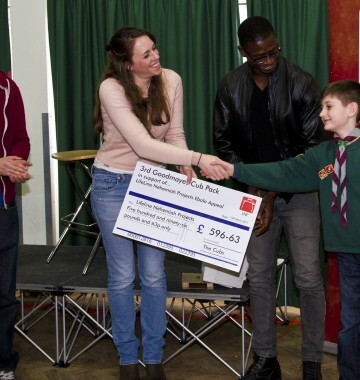 Ethan’s Cub pack leader, Margaret, said “I can’t believe it”, when she saw the amount of money that the children raised. “The kids were so excited,” Ethan’s mum, Bec, said. The group of friends are currently writing letters to the Ebola Response team who have been working on the front-line, and they want to stay in contact with people who have benefited from their donation. Ethan also presented in front of his whole school at assembly on Red Nose Day, and has been asked to speak at the Cub-Scout AGM. It’s amazing to see a group of young people like this taking an interest in other people in need. Well done Ethan for inspiring your whole Cub-Scout group to take action. Your donation will make such a difference.